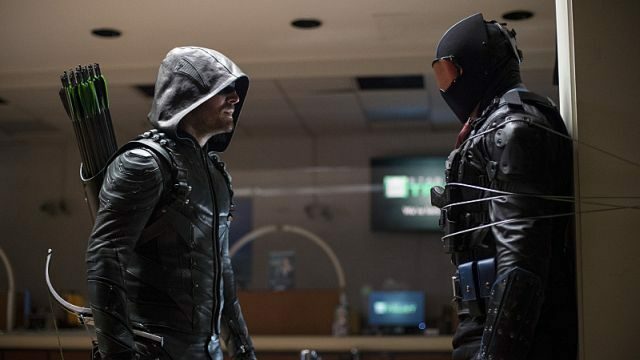 Much of Arrow‘s fifth season has revolved around who Prometheus is, but Adrian Chase being beneath the mask left everyone reeling. That’s because the comic book version of the character is better known as Vigilante and most assumed Chase would at some point be revealed as being the mysterious and violent anti-hero. Because the series has shaken things up to such a huge extent, we now have no idea who Vigilante really is. Executive producer Marc Guggenheim has previously said that we may have to wait until season 6 for the reveal to be made and if that’s really the case, it leaves us with an awful long time to wonder who Team Arrow has been plagued by for the past few months. However, looking at the evidence and coming up with some pretty outlandish theories, we’ve managed to collect eight of the most likely candidates for who Arrow‘s Vigilante could be. Some you may expect and others will leave you completely gobsmacked, but we’re pretty sure that one of these characters will ultimately be revealed the show’s Vigilante.